I just started buying these soy beans a few months ago. They are found in the freezer and come shelled or in the pods. 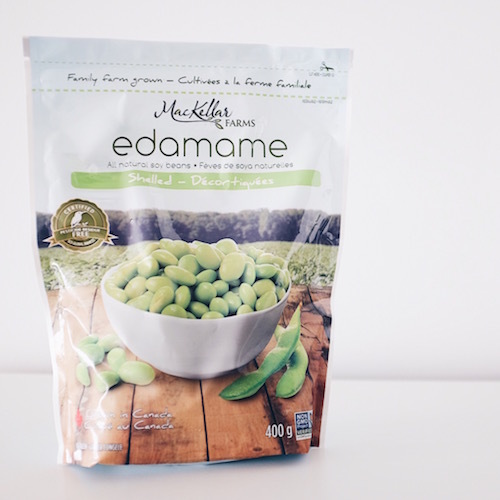 I love them because they are a super healthy source of protein, fiber and iron and they are a quick and easy snack – either to take to work, have as a pre-dinner snack, or even replace your popcorn or something crunchy if you need it while watching Game of Thrones! The instructions specify to boil the beans in hot water and add sea salt if needed. Do this if you want…or just eat them straight out of the bag! Thanks to MacKellar Farms for creating a consistent and healthy product!